It would come as no surprise to anyone if a top ten from this duo were all released as singles. The Carpenters were not really an album band, were they? That’s not to say that they didn’t sell albums by the bucket load. 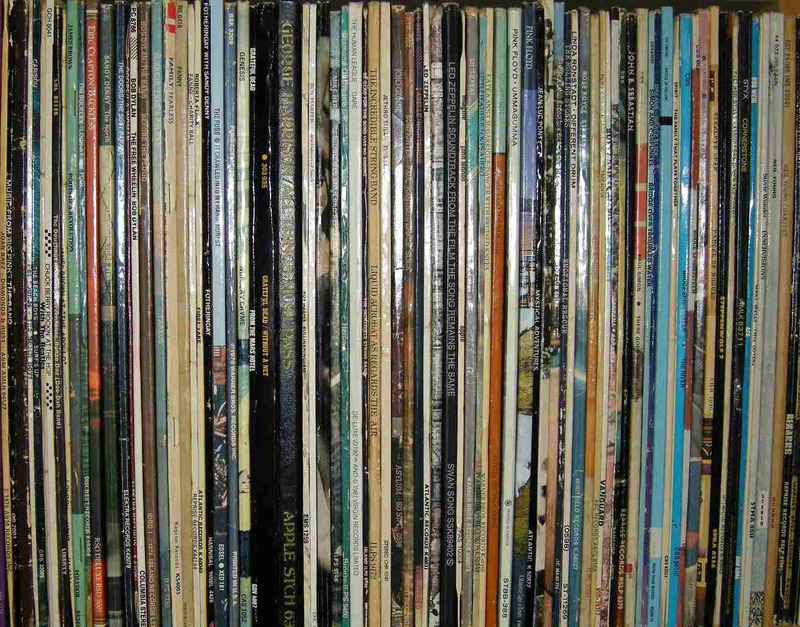 Eight platinum or gold discs between 1970 and 1978 for LPs, along with twelve top ten singles on either side of the Atlantic between 1970 and 1975. Yes, they sure were popular. Makes you wonder who was buying all of this product. Certainly not me! Great as those singles were, I was still buying records with pocket money until 1974 and there was always a Bowie or a T. Rex, a Slade, a Roxy or an Alice Cooper that were more deserving of my spends. And, probably more importantly, they weren’t COOL! Not to a fifteen year old youth in seventies Britain at least. Their appeal was, I would wager, with young girls. Nice girls at that, girls that would wear Laura Ashley flower print dresses and read Maeve Binchy (bet none of the Bromley contingent and their ilk had much in the way of Carpenters records in their collections); and also with young mums. Had Abigail’s Party been filmed about three years earlier, the album entitled Carpenters may well have replaced Demis Roussos on the soundtrack. Yes, they were the sound of the early seventies suburban dinner parties. The original sound of the suburbs (just look at the cover of Now & Then for instance – it SCREAMS suburbs). And that was a world, at that time, that was about as far removed from my life as you could get. I suppose I first heard the Carpenters in the spring/early summer of 1971. Just getting seriously into pop music, I’d started listening to the Radio Luxembourg Top 30 on Sunday nights. In the lower reaches of the charts was the single Rainy Days And Mondays. I thought it was superb (and still do). Surprisingly, it failed to chart in the ‘proper’ BBC charts, although it hit number 2 in the US. Subsequent singles did chart highly in the UK though, and I tended to either love them (the ones in my top 10) or hate them (most of the rest). The last time they turned up on my radar was in 1977, with the slightly strange single Calling Occupants Of Interplanetary Craft (originally by Klaatu), though 1977 was itself one of those strange years where all kinds of everything seemed to chart. 1971 was another. The siblings failed to trouble the UK singles chart compilers very much after this release. To this date, I have never bought a Carpenters record of any kind, although my wife-to-be brought her copy of their greatest hits LP The Singles: 1969–1973 with her when we set up home. We would go on to live in the suburbs, and subsequently had what could probably be described as dinner parties, though I don’t recall ever playing a Carpenters album at one of those nights. Guilty pleasure perhaps? Possibly, but they really are much more than that. Songs by the cream of songwriters are what made them, that’s actual writers of songs, men and women who literally lived and died by their output – to pay the rent and put food on the table – as opposed to mere members of bands that happened to write their own material. Close To You by Bacharach and David, Paul and John’s Ticket To Ride; This Masquerade by Leon Russell, tracks by Sedaka, Manilow, Jackie DeShannon, Carole King, and even Richard Carpenter himself turned his hand to the noble art; and a couple of guys who I knew very little about until I started my research for this piece – Roger Nichols and Paul Williams. They were a successful writing team whose style seemed to suit the American market, writing for the likes of Three Dog Night and Barbra Streisand amongst others, plus TV themes for programmes such as Hart To Hart and The Love Boat, as well as penning three of the Carpenters biggest hits – We’ve Only Just Begun, I Won’t Last A Day Without You, Rainy Days And Mondays. But after giving their album tracks some consideration (side two of Now & Then. What’s that all about? What a waste of vinyl. One of the very worst sides to an album I’ve ever heard!) just two make my top ten – and as they both appeared on 7″ as B-sides, my opening line of “no surprise to anyone if a top ten from this duo were all released as singles” could perhaps be classed as true. And yes, they do remain a guilty pleasure; I can’t say I’m disappointed when a track from the duo pops up amongst my Beatles, Bowie, PiL and assorted post punk and other random stuff on my iPod shuffle while out walking, and I suspect many of the old punks, metallers and funk soul brothers of my generation feel the same. I enjoyed that – hard to argue with any of them. I’d find a space for Calling Occupants of Interplanetary Craft, if only for its bizarre message. Karen was a great drummer too. Thanks for this excellent list. David beat me to ‘Calling Occupants’ which was such an uncharacteristic single for them and which I really liked at the time it first came out. And ‘Close To You’ would probably have to be in my Top Ten. It’s funny too how quality always seems to outlast its critics. Years ago there was a joke in which a guitarist dies and at the pearly gates is ushered into a studio. There is a perfect guitar rig. Next thing, Jimi Hendrix walks in and plugs in to another rig and starts tuning up. Aretha, Elvis and Janis Joplin set up at the backing mics. Jack Bruce plugs in a bass. Freddie Mercury sits down at the piano. The guitarist is amazed and says to Hendrix ‘I can’t believe I made it into heaven’. Hendrix says ‘heaven? Just wait’. Next thing, Karen Carpenter walks in, sits at the drums and says ‘Ok, people, ‘Close To You’ in B, 1-2-3-4’. The joke doesn’t work anymore and really never should have. But it documents the disdain that they were held in among ‘serious’ music fans. 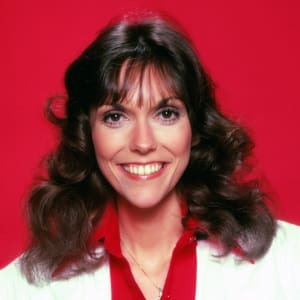 I’ve told that joke myself but see The Modern Drummer article on Karen Carpenter (https://www.moderndrummer.com/article/december-2013-know-karen-carpenter/). It praises her drumming, as do many but admits that on the singles, Hal Blaine played drums, basically because Joe Osborne on bass and Hal Blaine always worked together. Many producers prefer a session drummer. Crescent Noon. My No.1 by a long chalk. I first heard Carpenters on my parents record player when I was a lad. Since then they have similarly remained a lifelong guilty pleasure. I also grew up desperately wanting a Ferrari Daytona based on staring at the ‘Now & Then’ sleeve whenever my parents played the record. I still believe Karen’s voice is the sweetest sound I have ever heard, and I much prefer the songs where the production and harmonies on her vocal are at a minimum. I really enjoyed your post and your comment about Abigail’s Party made me chuckle – you are so right! I certainly can’t argue with your great song selection. I would have stuck Superstar right at the top of the list – a song that still gives me goosebumps. I would also have tried to slip ‘Ticket to Ride’ in there somewhere (I love the video that accompanies it too). But before I sign off here I must share my Carpenters anecdote: My parents owned a guest house on Eastbourne seafront in the 1970s. A regular old gentleman called Mr Stacey would stay with us every summer. At the end of his final stay (I was around 8 years old) he said he would treat me, my sister and my mum to a ‘show’ – The great thing about this offer was that I was to choose which show we would attend. When we looked in the paper there were two options. ‘Carpenters’ and ‘The Black & White Minstrel show’. Unfortunately, my appreciation for Karen’s beautiful voice hadn’t developed by then and I chose the latter. So now every time a Carpenters song comes on the radio my wife just stares and me and laughs. I guess you gotta have some regrets in life. But this is a great post. Thank you Michael. I used to think (The) Carpenters was a guilty pleasure, but then I decided it was OK to love them. I’m yet another vote for Calling Occupants of Interplanetary Space. It led me to seek out the Klaatu album, which was marketed on rumours that it was The Beatles, which one listen told you it wasn’t. Any thoughts on the place of Richard Carpenter’s 2018 remix album with the London Philharmonic? He had quite a bit to say on it. Not guilty, just a pleasure. There’s a YT clip somewhere of Karen letting rip on the drums which is quite something. Also the guitar solo in Goodbye To Love is possibly one of the best ever. Richard told Tony Peluso to play the melody for five bars and then let rip, and didn’t he just do that. Perfect timing. I wouldn’t have the courage to do this, like Homer eating flowers in the bathroom, Carpenters have been my secret shame. In some ways this Toppermost acts as an intervention: yes I love all those classic Carpenters tunes and the only thing that stopped me thinking about Karen Carpenter when I was 12 was either Olivia Newton John or my rugby league team winning the grand final (74/75, as Bowie would have put it..golden years indeed). I agree with every tune in this list, all superb. A couple of things, firstly Richard was a genius arranger, his work on Close To Me is one of the finest moments in 20th century popular music, even Burt B was in awe. Secondly his decision to get Karen right up close to the mic, apparently that’s how he captured that timbre, that exquisite warmth in her voice, she’s truly one of a kind as a singer. Thirdly, how did they take a bank ad and turn it into something as amazing as We’ve Only Just Begun? Finally as is usually the case, apparently things went pear shaped when she stopped playing drums both live and in the studio. As others have noted she was a superb drummer and musician, but when she stopped they lost that something special, and the rest we sadly know. Michael, I’m impressed, thanks for every sha la la, every whoa whoa..